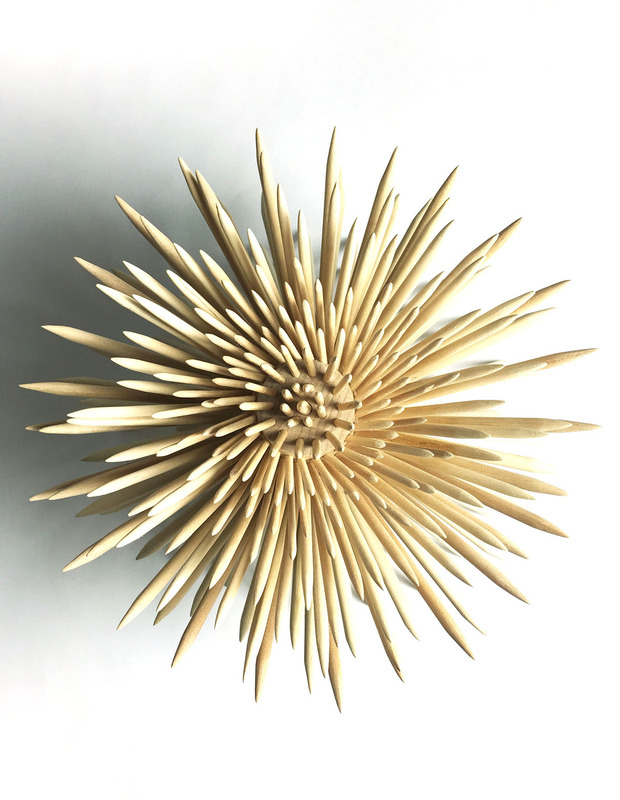 Spirale is a wood sculpture inspired by organic forms found in mother nature. 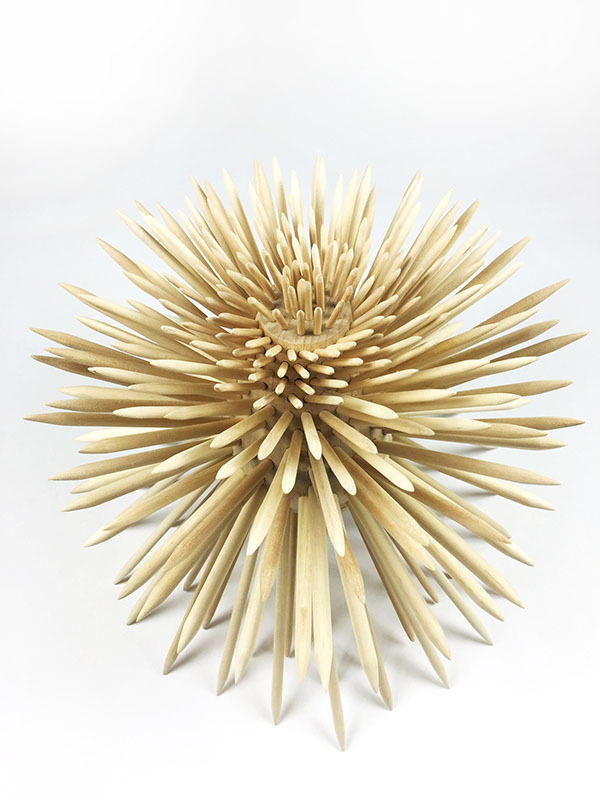 Constructed with more than 150 sharpened wooden dowels, this sculpture displays the warm quality of wood, polished with sharp edges, while still maintaining its overall organic appearance. When viewing Spirale, the spiraling effect seen from the top view and the side view presents a subtle nuance. 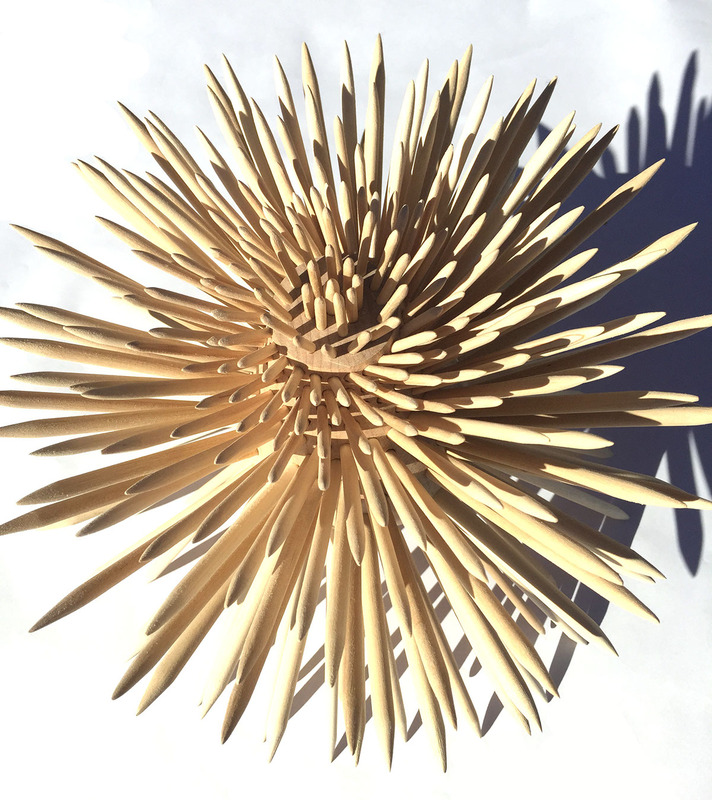 Spirale is a free standing structure that is supported by the tips of a ring of long dowels. 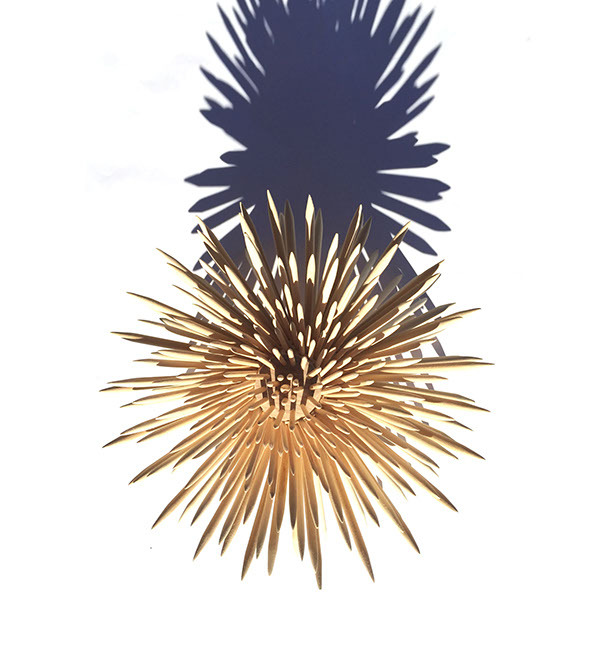 This act of balancing emphasizes the fragile and ephemeral quality of nature. 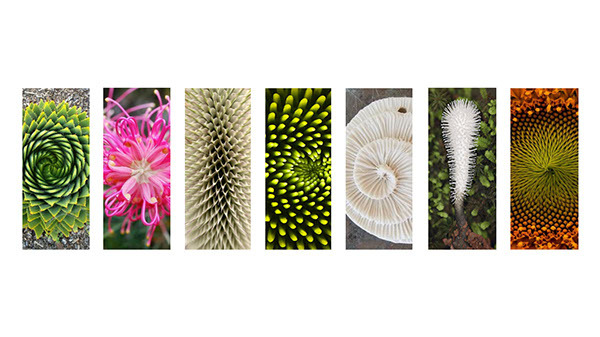 Spirale started from the simple act of observing mother nature. 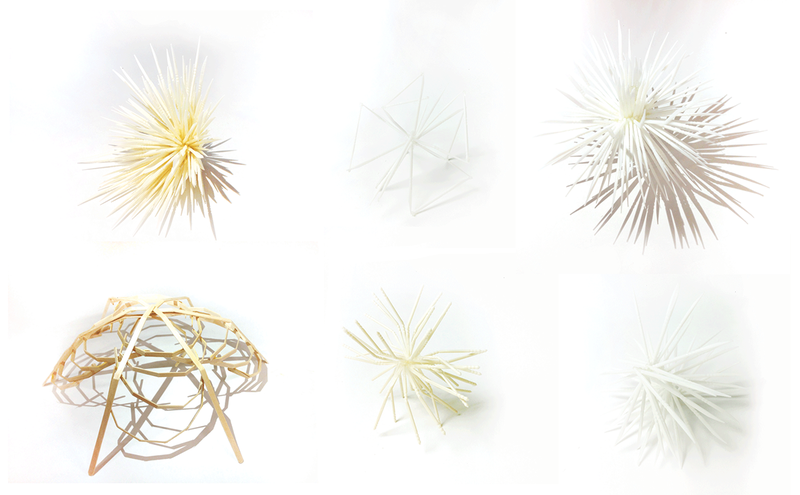 Initial sketch models that plays with composition and form. 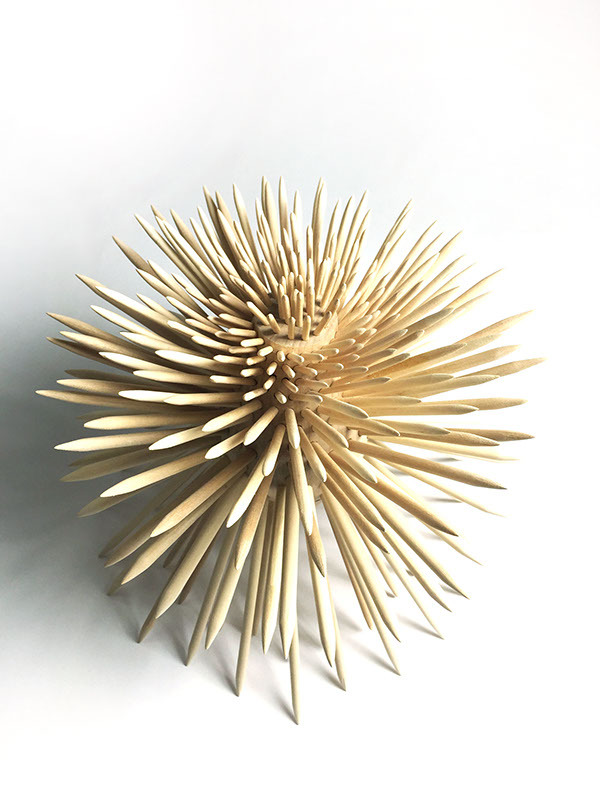 This piece inspired by organic spirals from vegetation is constructed with a turned center form, that consists of layers of hand drilled holes that are later filled with hand sharpened dowels.